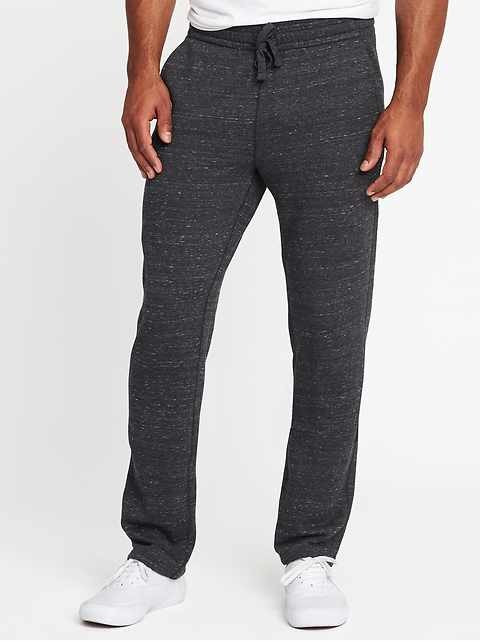 Whether you're at the gym, out to lunch or just hanging out, Old Navy has the joggers for men you need to look and feel great in. 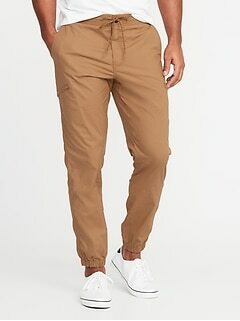 Get the comfort and style you want at the prices you need with men's jogger pants from Old Navy. 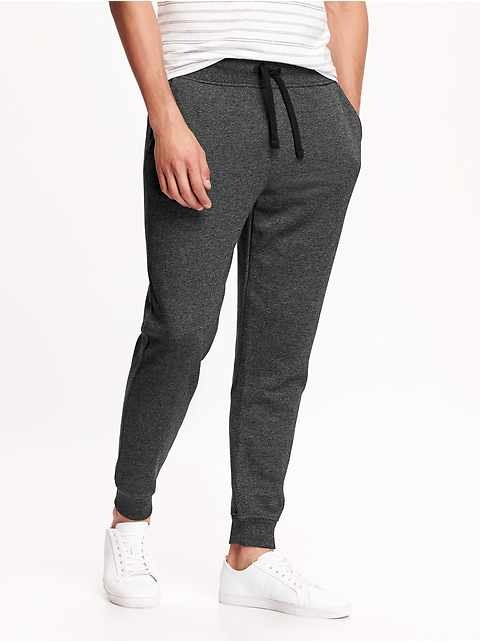 Whether you're relaxing on the weekend, running errands, or heading to the gym, our jogger collection features sleek looks and always-comfortable construction. 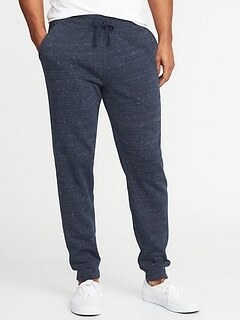 Old Navy guy's joggers are not your dad's sweatpants. 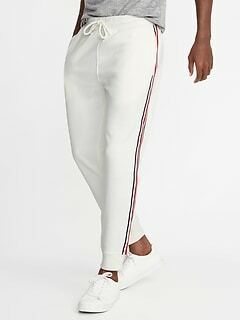 Updated with modern appeal, this selection boasts a range of looks from cargo-style and classic fleece to khaki-colored flex twill joggers and everything in between. Browse a rainbow of colors and patterns, too, all made with laid-back softness and handy features perfect for busy guys like you. 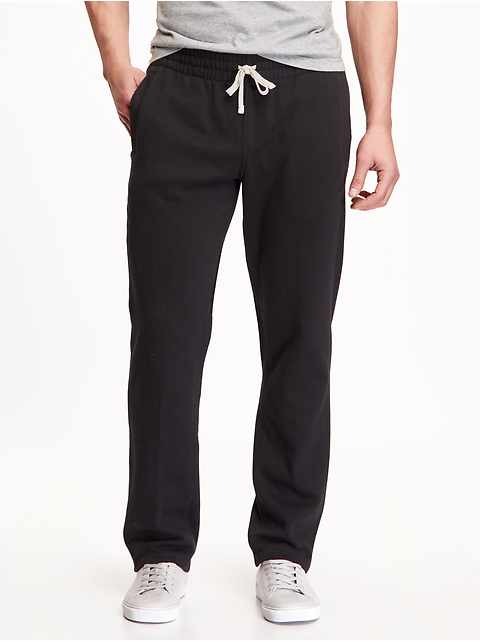 Enjoy a comfy feeling all day long with men's joggers from Old Navy. 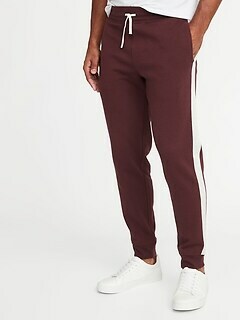 Browse joggers made to feel just as soft as your PJs but to look just as put-together as your jeans or chinos. 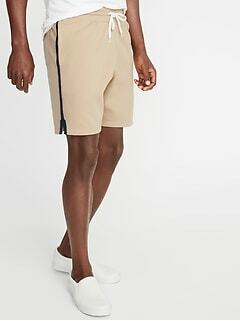 Explore soothing fabrics like cotton, twill, fleece, linen and more that feel great against your skin for all-day wear. Added features like elasticized waists, adjustable drawstrings, and relaxed fit through the hips and thighs allow you to get a flattering fit for your size and shape, while numerous pockets help you store your stuff. Get your new go-to garment at Old Navy. 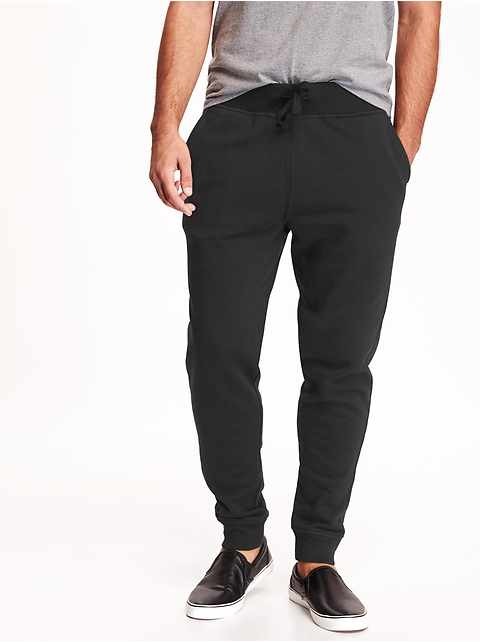 Check out the best jogger pants for men in our hip collection. 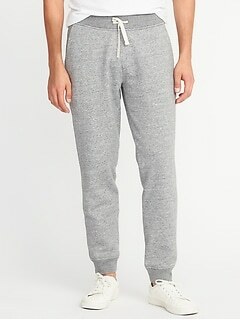 Wear them with sneakers and a tee for your workout, or slide them over your shorts on your way home from the gym. Easily dress them up for more than your workout time! 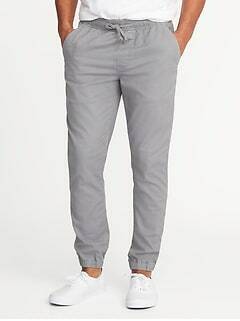 Pair them with an open button down over your favorite tee for lunch or a coffee run. 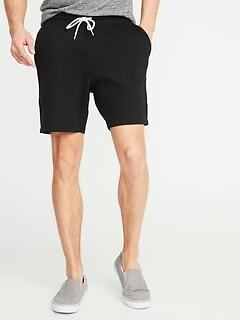 Dance all night at a concert in joggers and a graphic shirt, or stay cool on a date in joggers, a blazer and leather boat shoes. 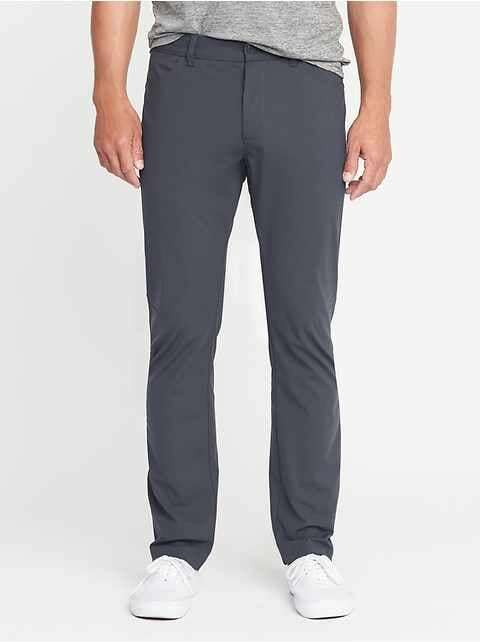 Shop Old Navy today for guy's joggers featuring updated modern touches and comfortable fits for a stylish and effortless addition to your wardrobe.